After my Google Hangout Interview with Katrina, I started to think about picking your battles – which she listed as an important quality of a tester. Below I’d like to talk about my experience and thoughts on this idea. When I started my first (ever) project, my understanding was that the purpose of testing was to provide information with more emphasis placed on advocating for the fixing of bugs. Part of me relished raising bugs in the Test Tool and assigning a severity and priority. The sad thing is, I thought I was a better tester when I raised bugs with a higher severity and priority. This meant I probably assigned a higher severity or priority to bugs than they actually deserved. 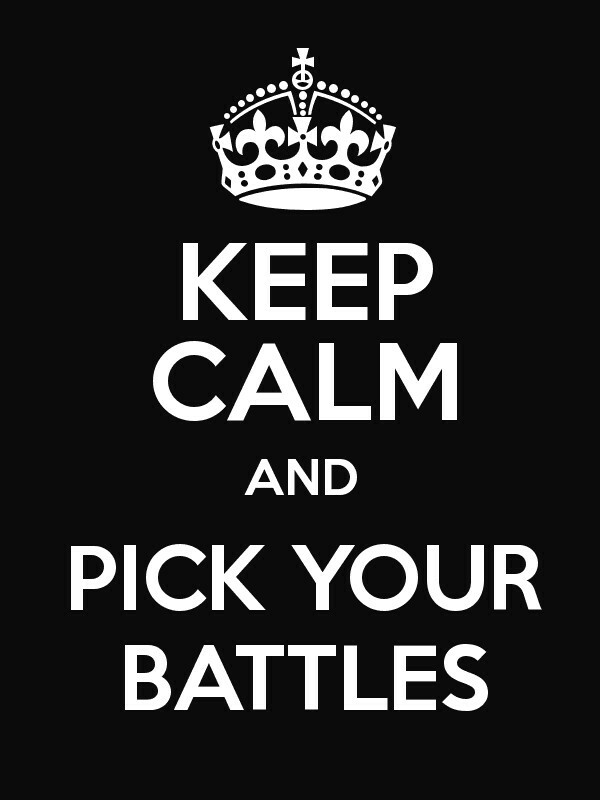 Why should you pick your battles? How can you pick your battles? Why do I want this bug to be fixed? What’s the worse thing that could happen if the software went live with the bug in it? What’s the risk of the bug being discovered in production? Have I made a reasonable effort to see things from the other person’s point of view (if someone is saying the bug does not need to be fixed)? Have I asked the opinion of someone (honest, who won’t just blindingly agree with me) about the bug and presented the bug in an objective manner?